Where Are The Small Cooking Spoons? 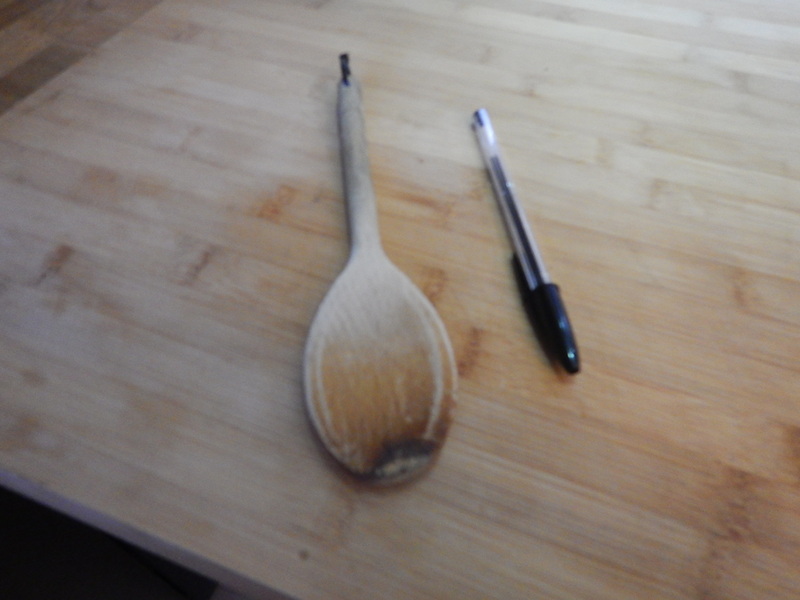 My mother had a very small wooden cooking spoon about twelve or so centimetres long. It was ideal for warming baked beans or making scrambled eggs in a non-stick milk saucepan. Her’s had suffered an accident and I can remember that one side was slightly burned, but it was still usable. And absolutely the eight size! I’ve been looking for over fifty years since I left home and not found one yet! But it’s still too big! Note I have drilled a hole through the handle and fixed a cable-clip in it, so I can hang it up above my cooker. Is it a Health and Safety requirement that spoons must be big enough, so we don’t get our fingers burned? I’d actually like one in a high-tech plastic, as it would be easier to clean! On the subject of baked beans, I usually buy my small tins in Waitrose. I should say, that I have a tendency to not eat enough soluble fibre and this was raising my cholesterol. A dietitian recommended that I eat one small tin of baked beans a week and use Benecol instead of margarine. It worked and meant, I avoided going on special drugs. Last week, I fancied some baked beans with a poached egg for lunch and I was out of stock. So I went to the corner store close to my house and bought a couple of tins of Heinz baked beans. Obviously, no problem with cooking, eating or taste, but I found washing up of the saucepan and the spoon much easier! Which is surely a bonus for the thirty pence extra cost of the beans. I sometimes do, but you can’t make scrambled eggs or sauces that way! James, I always scramble eggs in the microwave, I tend to use a small glass pyrex type bowl because I have a lot of them, and whisk every minute or so with a fork, on about 350 or 400. Spoons, have you looked at Lakeland online. The shop is full of things you didnt know you couldn’t live without until you saw them in the shop. James, Amazon have lots as well. Including ones that aren’t disposable.